Last Summer it was announced that Spokane Arena was to add a unique new food court area in 4100 square feet of space on the North side of the Arena. And, after a few months of work that area called " The Market " is now open for business. And it's 4 new food vendors provide foods unlike anything else already at the venue. These restaurants and all food and beverage services at Spokane Arena are operated under a contract with Centerplate. They also have updated a few other of stands to what are basically full restaurants in recent years. However, more traditional concession stands with beer, hot dogs and the like are still there. Crust- A new artisan pizza place serving pizza by the slice. 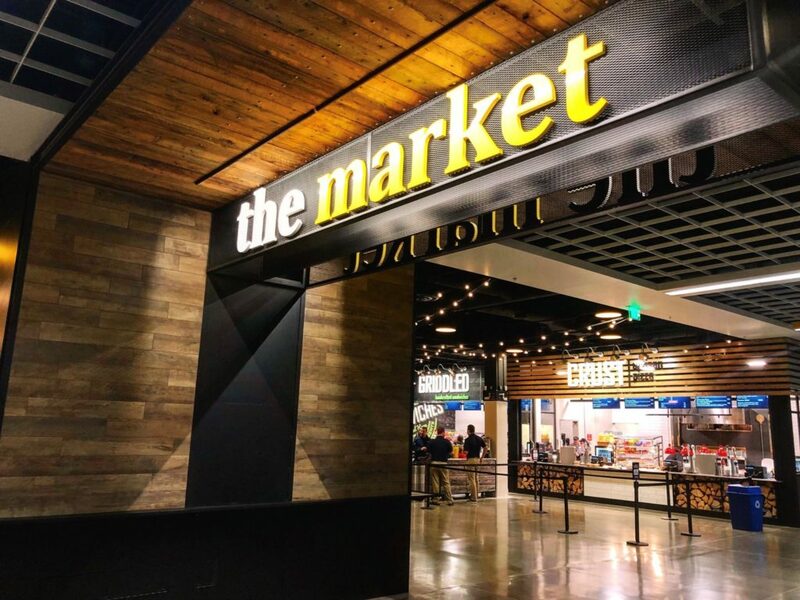 Also, The Market features a new wine and beer area with 16 beers on tap. Unfortunately these new spaces are only open to ticketed guest during Arena events.